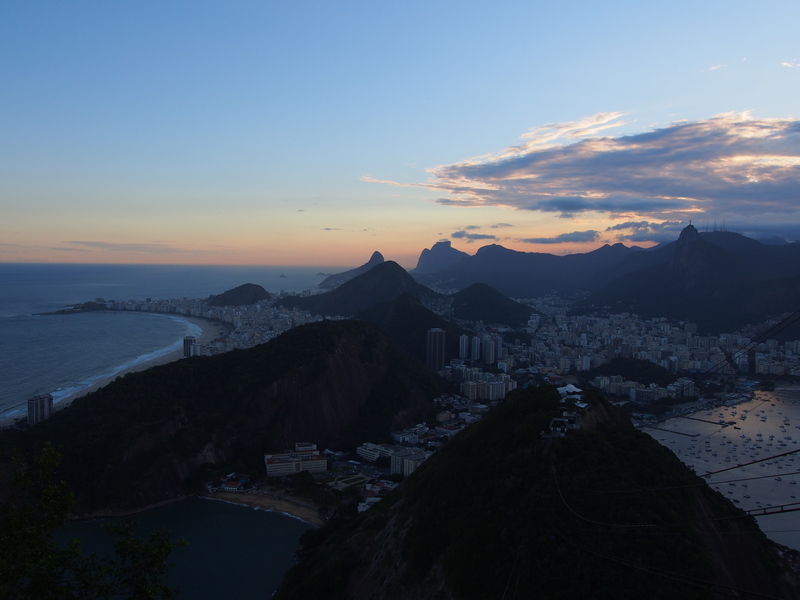 Rio de Janeiro is another one of those big cities that has a lot to offer. It has a population of over 6 million and has amazing scenery. It is on the coast of Brazil and has many beaches and mountains. 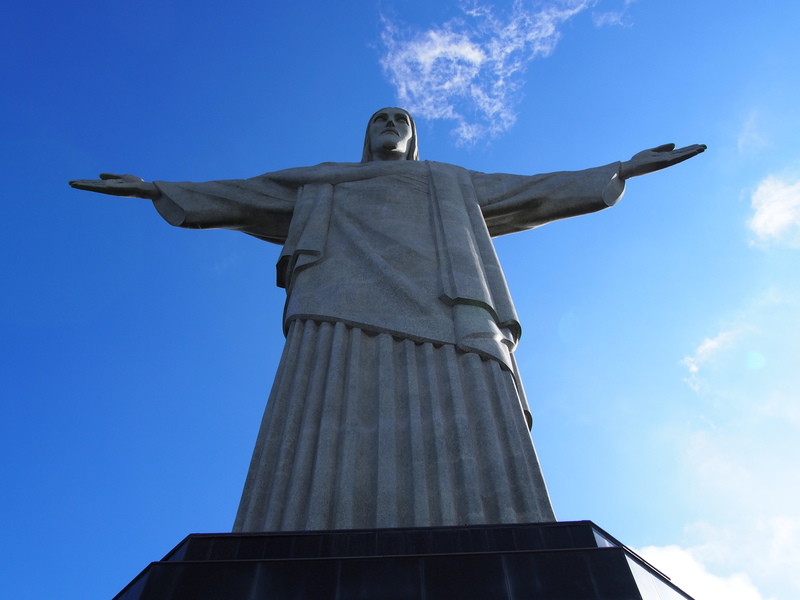 Christ the Redeemer is the world’s biggest Art Deco structure. It is a beautifully crafted structure, made of soapstone. It stands 710 meters above sea level on the peak known as Corcovado. The structure itself is 30 metres high, with an arm span of 28 meters. In 2007 the statue was voted one of the new Seven Wonders of the World. While it wasn’t as big as I had expected it to be, it was just as amazing as I had anticipated. 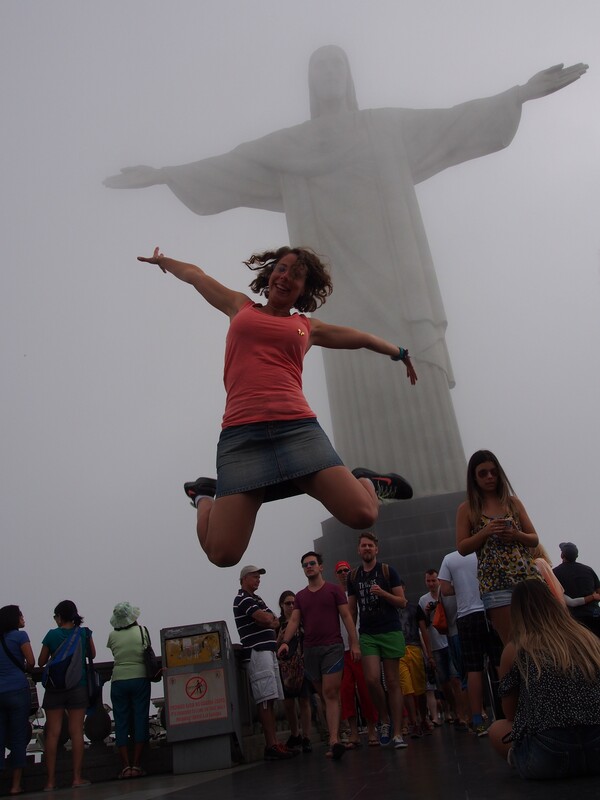 I had so much fun taking photos of it, but also the view from Corcovado is almost as good as the statue itself. Visiting in low season, the ticket cost was R$24 and included the mini bus ride to the peak. Eccentric Chilean artist Jorge Selarón was living in the area of Lapa and there was a staircase he walked regularly, but he found it boring. One day he began to decorate the face of each step with mosaic tiles. Once he had tiled the face of each step, he began to do the walls as well. Once the entire staircase was done, he would start to work his way back through each step and renew the design. This started to attract attention and soon travellers from all over the world were giving him tiles to use in his designs. When you stand at the bottom of the staircase and look up, it is an amazing colourful mixture on tiles from different countries and it looks fabulous. In 2012 Jorge’s body was found at the base of the stairs under mysterious circumstances. The official ruling is that it was suicide, but there remain many people who believe he was assassinated. The staircase remains untouched in the last design that he created and is a very popular spot for the tourists to visit. 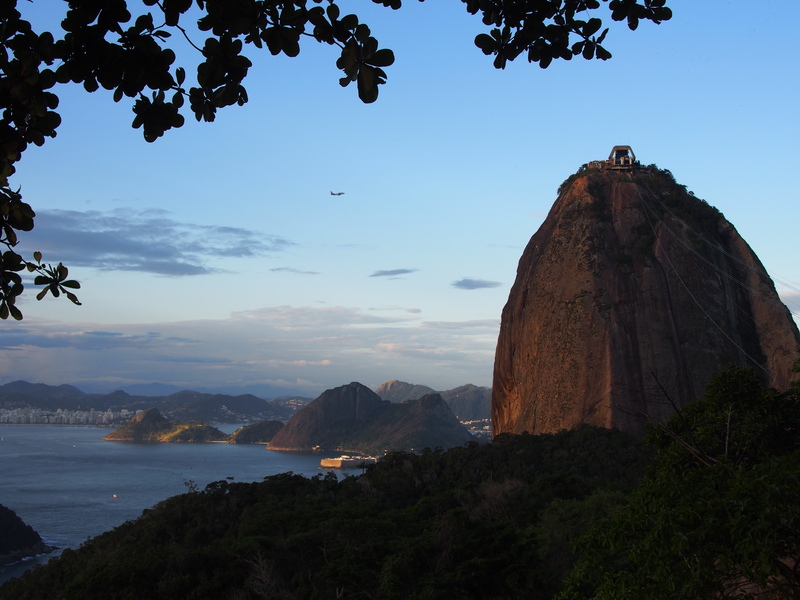 Sugarloaf mountain is a Rio icon, a 396m mountain that provides fabulous views of the city. To get to the top you catch a cable car. The cable car first takes you to Morro da Urca, where there are some viewing platforms. From there you ride another cable car to the top of Pão de Açúcar. One of the cable cars is quite old, and it has been retained because it is famous for having been used in the James Bond film Moonraker. The cable car ride is quite fun, but the views are simply amazing! You can see the city, a number of the beaches and in the distance, Christ on the hill. 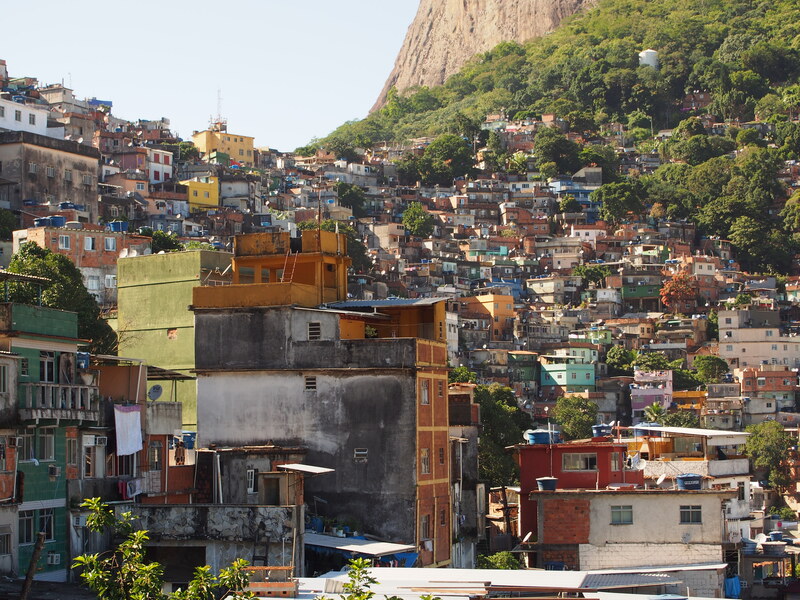 A favela is essentially a slum. They were originally created by soldiers using bits and pieces of whatever materials they could find. Because they weren’t official structures, the people were able to live without having to pay taxes. This also meant though, that they didn’t have access to proper infrastructure. These days most favelas have running water and electricity (electricity is not always by legal means), however there is no sewerage systems and the sewerage runs through the streets. Many favelas were previously, and some still are, ‘governed’ by drug lords. They regularly experience violence and various types of crimes. A favela is certainly not a place you want to go by yourself. 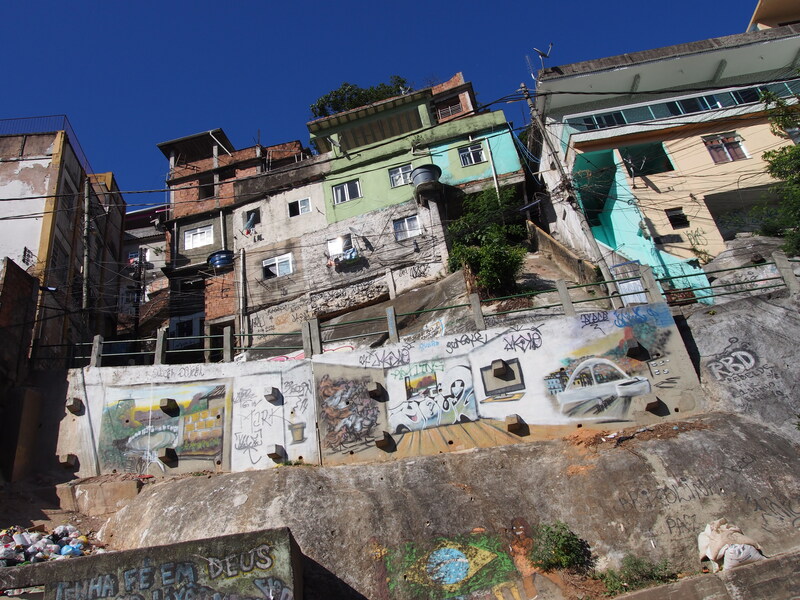 A group of us did a favela tour and visited two ‘safe’ Favelas: Rocinha and Vila Canoas. Rocinha is in Rio’s south zone and it the biggest Favela in Rio. It was built on s steep hillside and looks down over the city of Rio. According to census data it has a population of 75,000 but they actually suspect it is closer to 200,000. We didn’t really walk through the favela, mostly we saw it from the outskirts. We did walk through a short section just at the bottom, and despite the warnings of violence and criminals, everyone I walked past smiled and welcomed us to Rocinha. 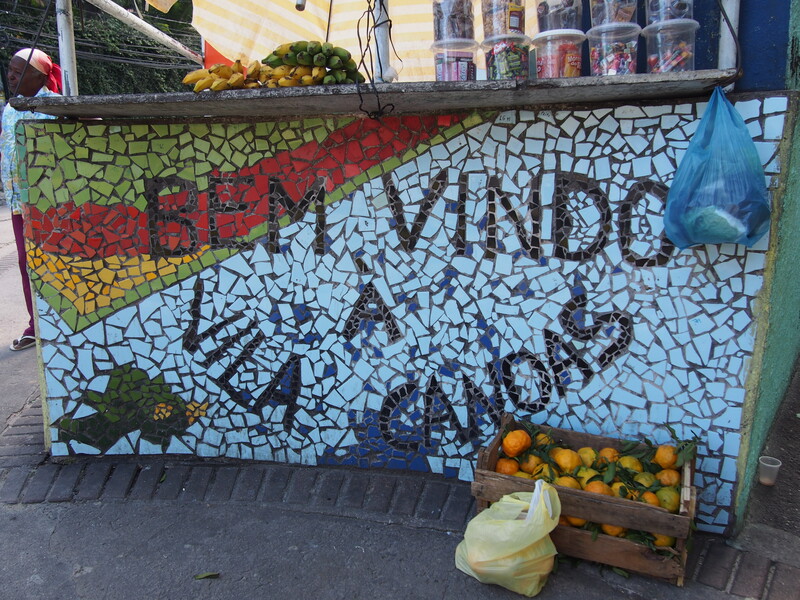 Vila Canoas is another favela, but smaller. 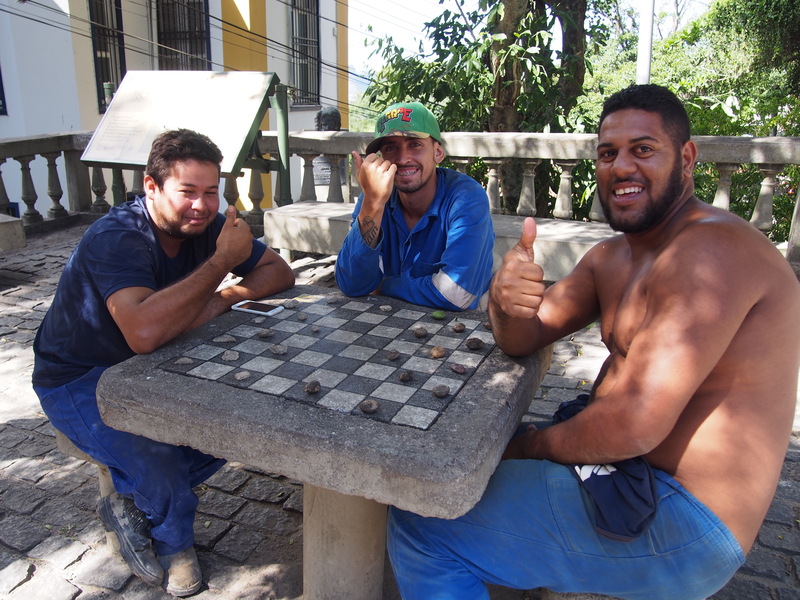 Vila Canoas is a more developed and has never been run by gangs. Here we visited a local school, which is strongly supported through the money made from favela tours – so it was good for us to see where some of our money was going. We spent some time wandering through the narrow alleyways of Vila Canoas. Compared to my expectations it was quite clean, but it was such a crazy maze or tiny alleyways and stairwells. It was also easy to see the construction style, how everything was made from bits and pieces and painted different colours. It was really interesting to see. 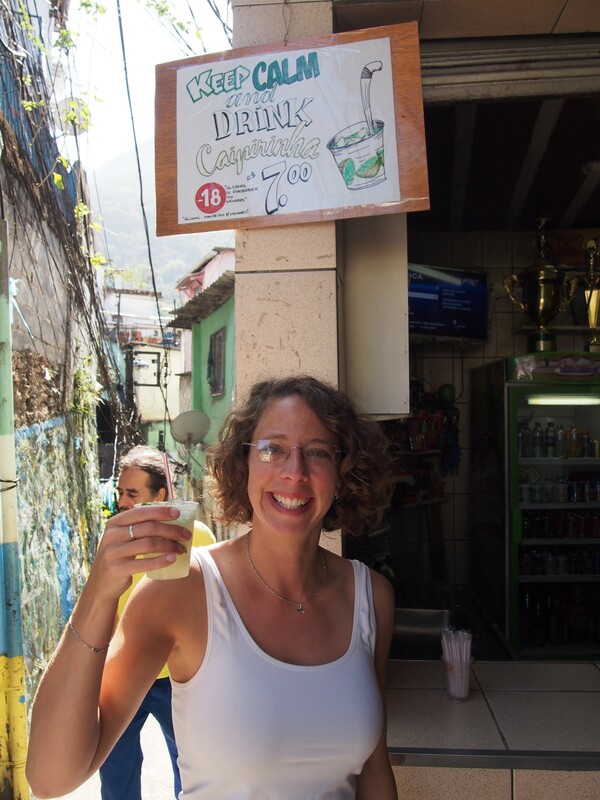 We also supported local people living in the favelas by buying handicrafts and drinks. The Favela tour cost R$100, in my opinion it a must-see! 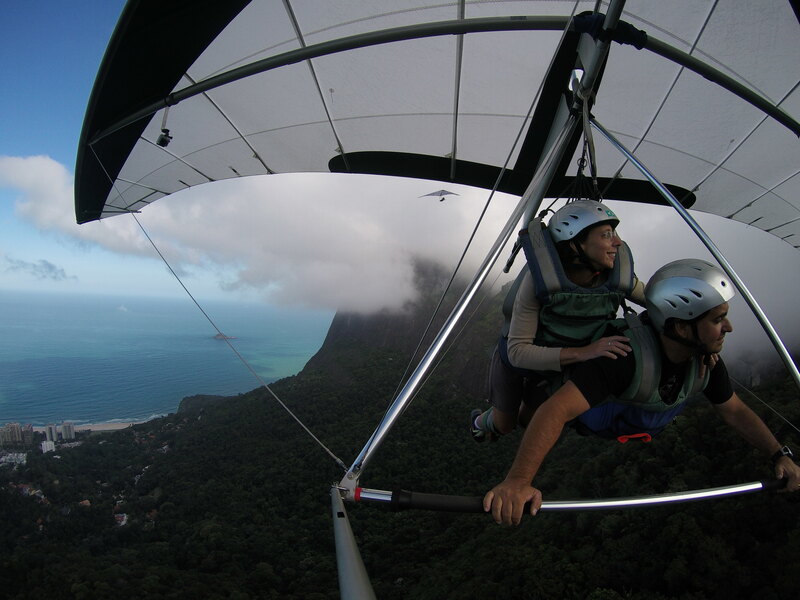 An activity I would consider a ‘must do’ in Rio is hang gliding. A number of companies offer it, I used a company called Delta Fly because there was a brochure of theirs in my hotel lobby. 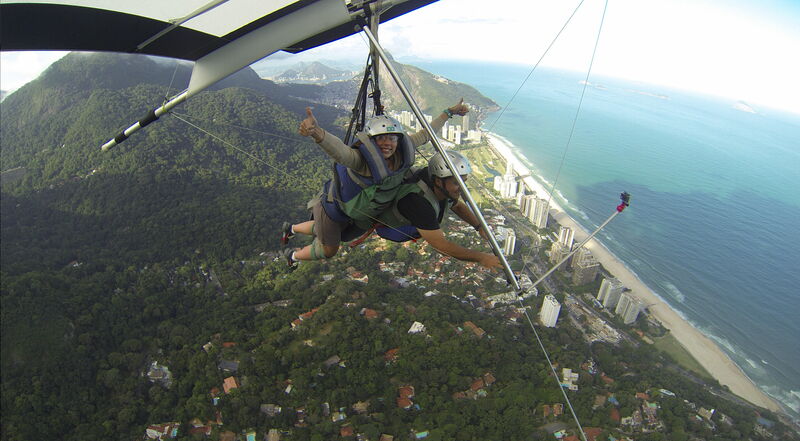 You launch at 510 metres above sea level from a giant granite mountain called Pedra Bonita. (You can also go paragliding, but the last time I was attached to a parachute I experienced really bad motion sickness, so in this case I opted for hang gliding). At the top of the mountain I received a 3 minute briefing on what I needed to do. Before I knew it, I was running down a ramp and launching myself into the sky (with my ‘pilot’ of course). I found it such a peaceful feeling, to be floating in the sky. It was so calm. The flight time is dependent on the wind of course, and I was lucky to have a solid 20 minute flight. The view of Rio from the sky is indescribably beautiful. I got fantastic views of the city, the beaches and the mountains. The only thing there wasn’t a great view of was Christ the Redeemer, but that wasn’t a big deal. A group of us booked ourselves into a samba show and dinner, despite having read bad reviews online. 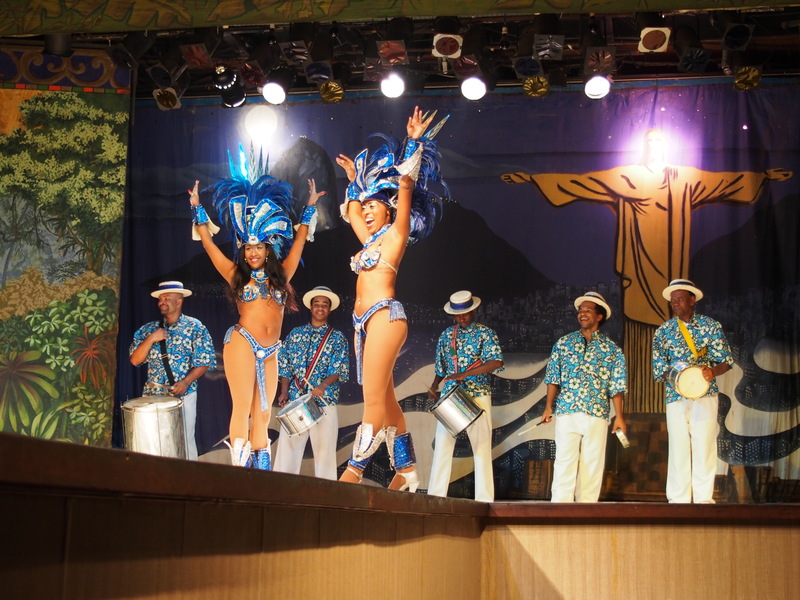 We felt that no trip to Rio would be complete without seeing a samba show. The costumes were flamboyant, colourful and ridiculously skimpy. I’m not convinced that the dancing was a traditional samba but it certainly was entertaining, tacky and over the top. I will say though, how impressed I was at the amount of booty control the women had when they were shaking their ‘thang’. The dinner and show cost R$220, and even though it wasn’t high quality by any means, it was entertaining and worth the time and money. Santa Teresa is a suburb of Rio, on a hill overlooking the city. It is a cute suburb with cobbled streets, ageing mansions and great deal of history. These days it has a bohemian feel. There are cute cafés and many souvenir stores displaying colourful and creative artworks from local artists. 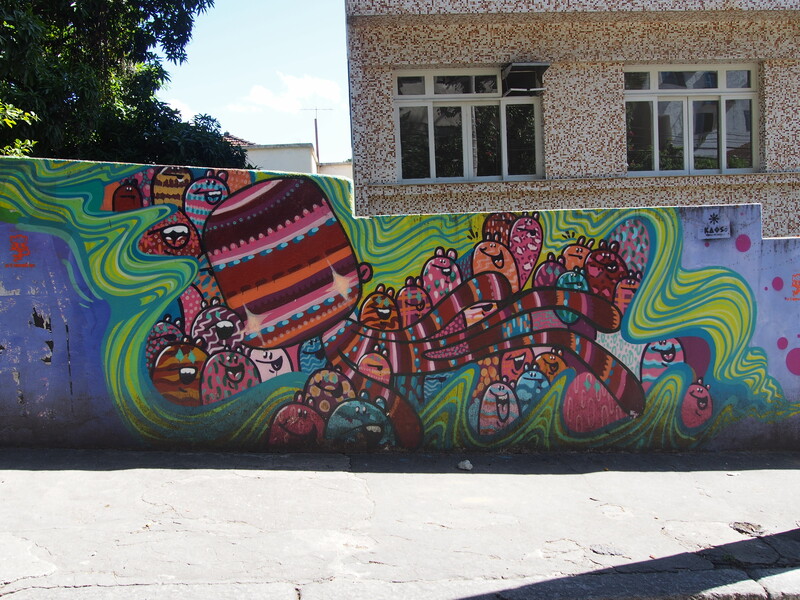 Santa Teresa is also a great spot to go hunting for awesome street art. 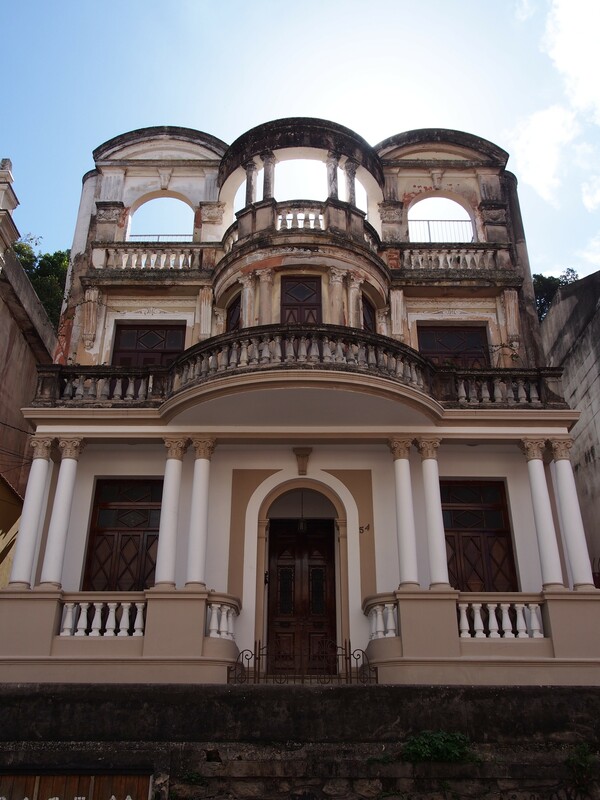 For R$20 each, a local guide gave a group of us a walking tour of Santa Teresa. It was a very pleasant 1.5 – 2 hour walking tour, the guide was very knowledgeable and the whole suburb was simply lovely to explore. Copacabana is one of Rio’s most famous beaches. It stretches 4.5km from end to end. While I didn’t make it, the sunset from the end of Copacabana beach, where it meets Ipanema beach, is said to be stunning. 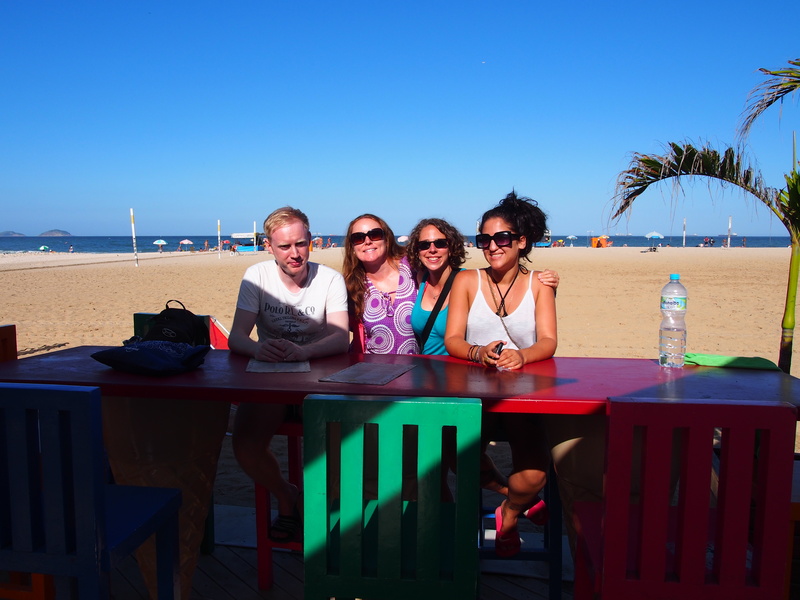 Copacabana is lined with little cafés selling cheap food and drinks. The beach itself also has many little stalls and wandering vendors selling drinks, hats, bikinis, and much more. The beach is a great spot to sit and soak up the sun while enjoying a cheap cocktail, but you do need to be very cautious with your belongings. Avoid taking valuables to the beach with you. Keep your eye, and preferably a hand, on your belongings at all times. If you go swimming, either tag team with a buddy or find someone to look after your stuff. Thankfully I didn’t have any problems with thieves, but we were warned countless times by various people to be careful. At night the beach is not the safest place to be, and you are advised to remain in well-lit areas. One well-lit area I would recommend visiting is the pavement between the two lanes of road, in this stretch is a daily market with loads of fun and cheap souvenirs. It starts some time after the sun has set and closes at 10:30pm. Rio was the final destination of my Intrepid Tour, Buenos Aires to Rio Unplugged. I had an absolute blast, made great friends and had amazing experiences. The travel guide Fede was brilliant, informative and helpful with organising any extras. So for now, I am saying goodbye South America, I hope to visit again soon. 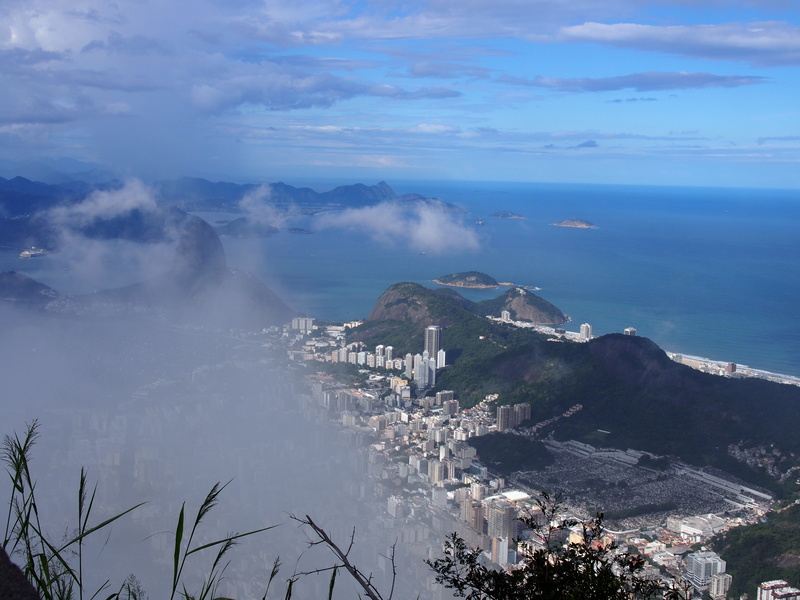 Check out all my Rio De Janeiro photos on Flickr.